As a savvy small business owner, you know all about how important it is for your company’s website to rank well on Google. The vast majority of the traffic goes to the first few results, so you want to do everything you can to make sure your site is up there. But if you’ve read up on search engine optimization, it can seem extremely technical and complicated. If you’re running your website on your own, it may seem like it’s too much for you to take on. But don’t worry – there are very simple things you can do to help boost your ranking and earn a bigger slice of that online pie. 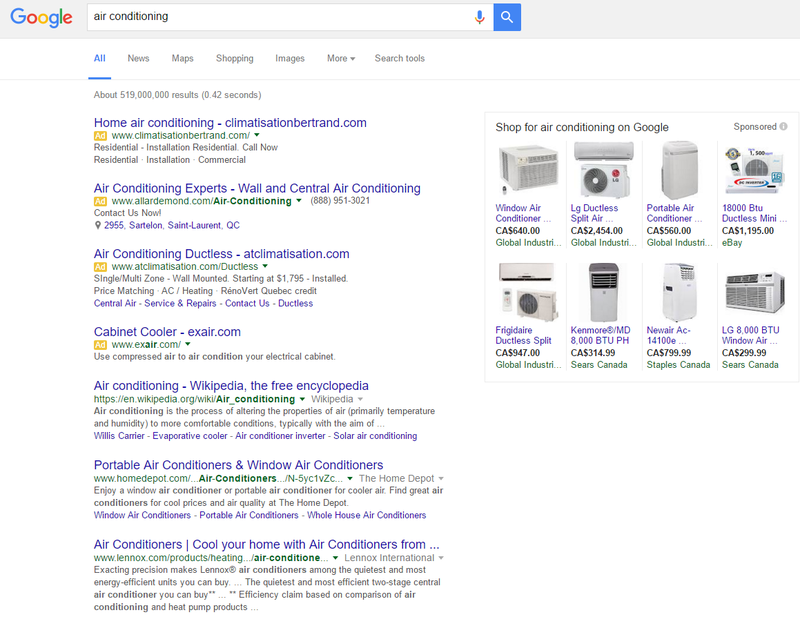 If you type "air conditioning" into Google, it provides you with general information from huge websites. The top of the search results here are dominated by ads, Wikipedia, and major brands. The amount of available screen real estate where your site could appear is very limited, and you’re going to be competing with companies whose marketing budgets are truly huge. It seems like it’s impossible for a small HVAC company to rank well. 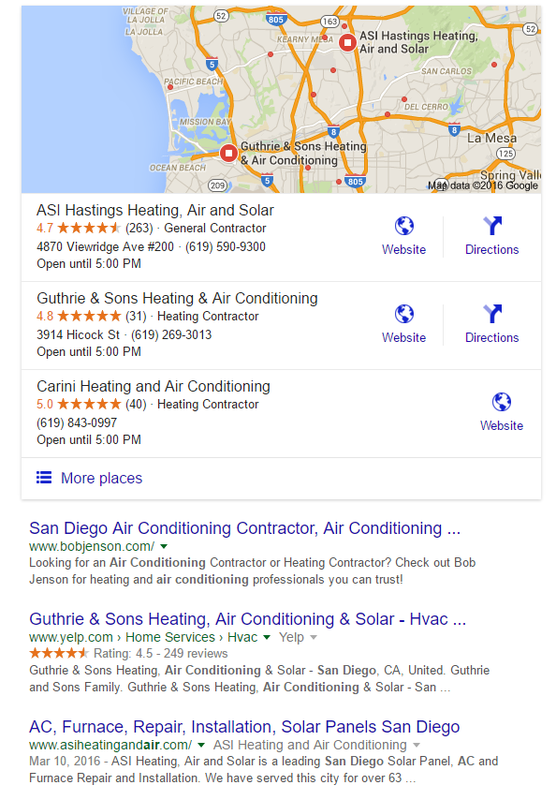 The results for "air conditioning in san diego" are dominated by small businesses, like yours. The trick for ranking well in local search is simply knowing what your potential customers are searching for and then building content to match those keywords. That’s where keyword research comes in. This might sound intimidating, but keyword research is really all about learning what kinds of search terms are being used by people who are looking for the kinds of things you’re selling. This changes from city to city and contractor to contractor, so I can’t give you too much specific advice. However, I CAN tell you about some great free tools you can use to find this information yourself. First, Google’s Keyword Planner tool is a totally vital part of any keyword research. Google helpfully gives AdWords users free access to their search data so you can see exactly how many people are searching for different keywords, and it’s very easy to use. 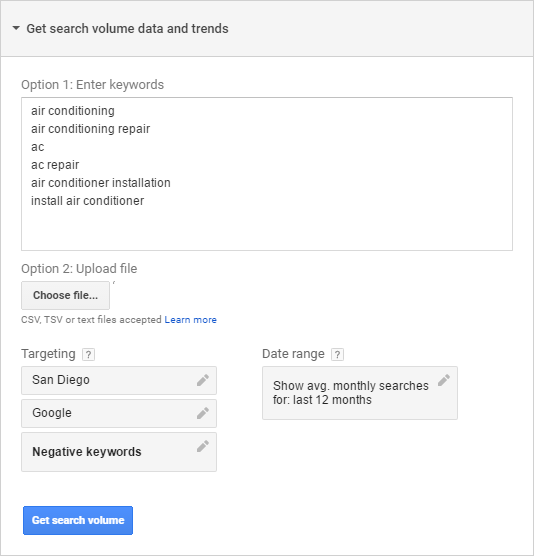 You can ignore the “Suggested bid” column unless you’re planning a PPC campaign, but the rest of the information is incredibly useful to any HVAC contractor trying to market their business online. You get the number of people searching for each term in your area, the level of competition (how many people are buying advertising with Google for that search term) and the month-by-month breakdown. Are you having trouble coming up with keywords to test? Another free tool I’ve been using a lot recently is Answer the Public. It can display the information in a bunch of different ways, including this neat relational graph. This site lets you plug in a keyword and then gives you a huge list of questions that people commonly ask in search engines. 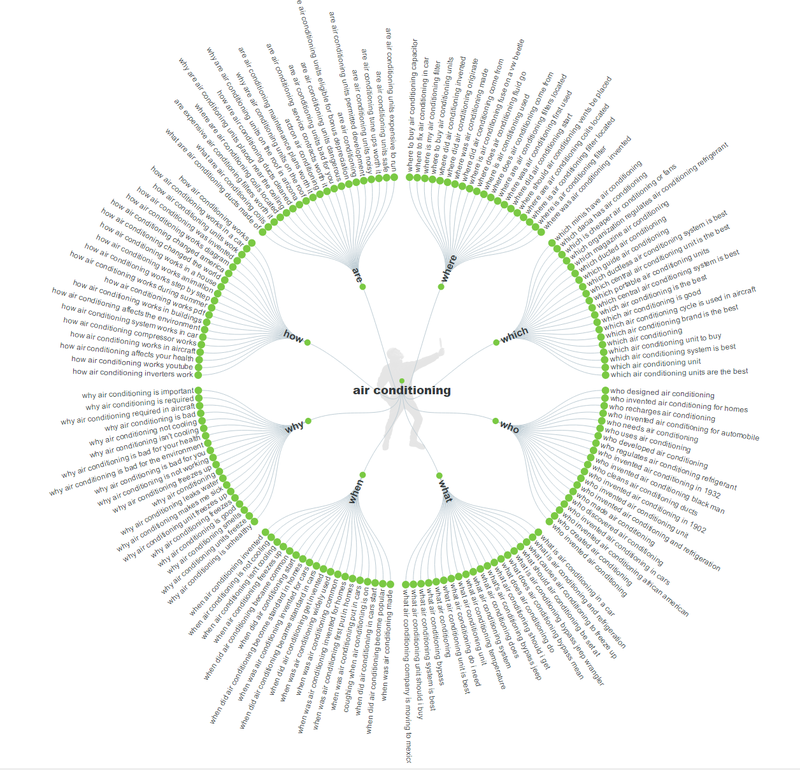 If you test a few of these with Keyword Planner and find some that are searched for frequently in your area, then you have a great starting point for creating some great content that will help your site rank well. If you want to get more in depth with keyword research, you can turn to other free tools like Übersuggest and KWFinder that will give you more detailed breakdowns of search terms related to your keywords - and KWFinder will even tell you which sites are currently ranking well for those keywords. We'll write more about using these tools for keyword research in a future post. When it comes to putting all this data you’ve gathered to use, the single most effective thing you can do is produce great content. When most people think of SEO, they think of outdated practices from the ‘90s and early ‘00s, like keyword stuffing (where you just jam as many keywords onto a page as you think you can get away with). However, Google has cracked down on these practices and they don’t work anymore – they will often actually get your site penalized. Instead, modern SEO is focused on providing a good user experience by answering the questions that people are searching for. The very best thing you can do for your ranking is to produce content – blog posts, videos, photos, or other forms of content that can answer people’s questions. If you make your site into a useful resource, Google will notice and will recommend it to more and more people. 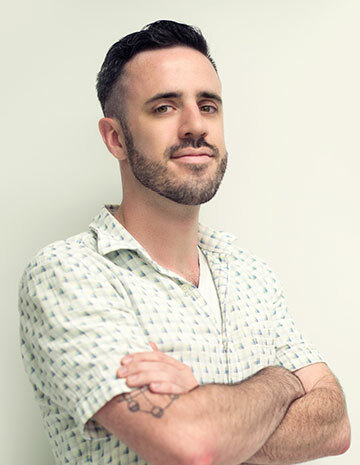 I know that when you’re running a business it can seem like spending a bunch of time working on your website will be the straw that broke the camel’s back. But if you can find just a few hours per week, you’ll see that your site’s rankings will steadily improve for the keywords you’re targeting. Have you struggled with getting your HVAC website to rank before? Have you used these strategies and seen any improvement? Let us know in the comments or drop us a line on Twitter.